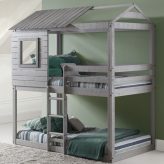 Do your teens want bunks? 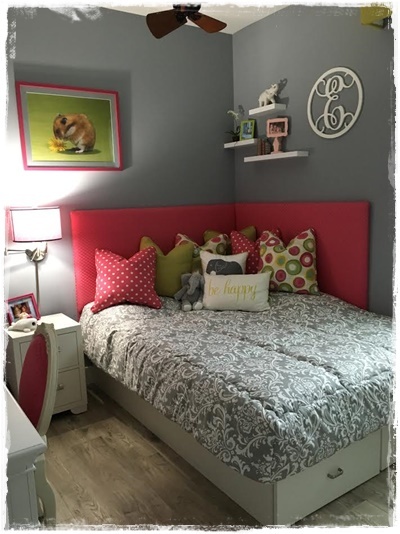 When you are looking for a bunker bed for the kids, you want it to withstand years of use, give your child a safe sleeping environment, and still look good. 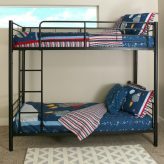 At Bunk Beds Bunker, we have bunk beds that will do just that. 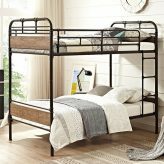 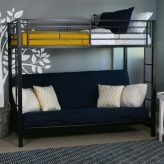 Our twin bunk beds are made of solid wood, our boys bunk beds come with cool play curtains and tents, our storage bunk beds can eliminate the need for additional pieces of furniture, and our bunk beds for kids with stairs offer a safe climb to the top and provide additional storage space in the steps. 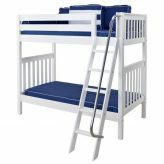 We even have bunk beds of different heights including a small bunk bed or kid’s low bunk bed which is perfect for the child who doesn’t like a higher bed. 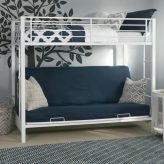 No matter what you are looking for, we have a bed for you! 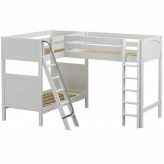 Our cool bunk beds for boys include castle beds, tent bunk beds, and kid’s bunk beds with desk. 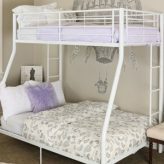 We have a wide selection of tent fabrics for a girl’s bunk bed with tent and girls often prefer our white bunk beds for kids. 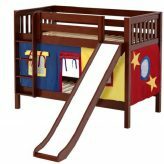 And what little girl wouldn’t like her own dollhouse bed. 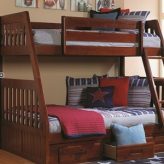 Our wide selection of kids bunk beds comes in different heights from low bunk beds for kids to the other extreme, ultra high bunk beds. 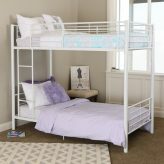 Quality and safety are very important to us therefore we won’t sell cheap bunk beds. 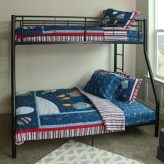 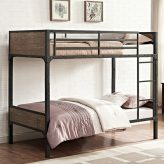 However, we are constantly offering discount kids bunk beds with good markdown prices and free curbside shipping. 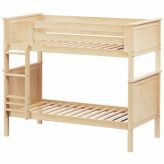 When it comes to your kids bunk beds, you want quality for a good price, not the cheapest product you can find. 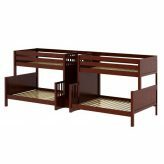 Cheap bunk beds can collapse or not hold the weights you need which leads to a very serious safety issue. 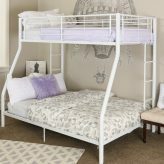 Buy from reputable dealers who sell reputable brands which meet or exceed all ASTM and CPSC safety standards. 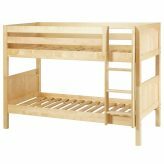 So when you are shopping for kids bunks, browse our selection of trundle bunk beds, bunk beds with staircase, or tent bunk beds in an assortment of finishes and prices to suit every budget. 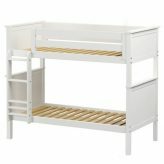 If you find a better price for the same product elsewhere, let us try to match it. 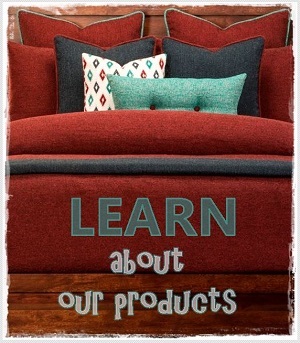 Our customer service is second to none and we are here for you after the sale too. 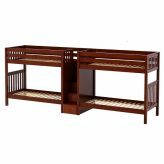 Shop bunk beds for kids today! 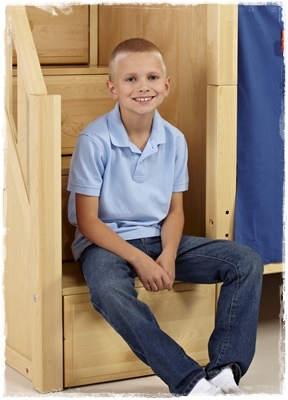 Expand your sleeping space with kids bunks today!